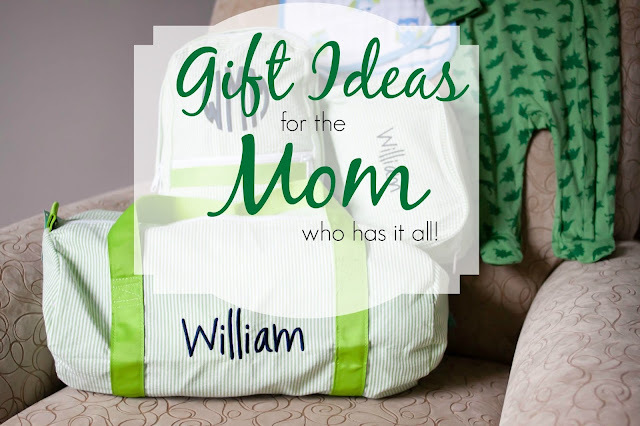 While I'll never turn away an opportunity to shop for a new baby, I think shopping for a seasoned mom (or mom of more than one child) is my absolute favorite. When it comes to choosing the perfect gift, buying for a seasoned mom allows you to relax the reigns a little. To go out on a whim and buy something that she may not necessarily buy for the baby himself, something that's unique and a whole lot of F U N.
One of my favorite go-to gifts is this adorable seersucker MINT travel gift set from Peekawhoo. 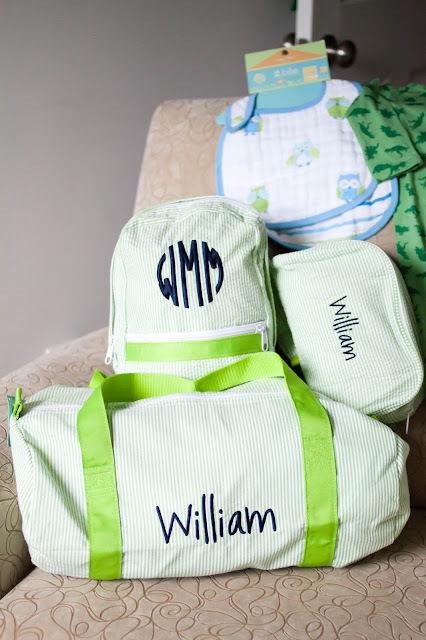 Not only can you have the set monogrammed, adding that extra personalized touch for baby, but you could also choose to fill each of the bags with something extra such as swaddle blankets, a lovey and/or sweet layette pieces, should you, like me, have a tendency to go a little overboard when it comes to fresh bitty babies. Recently, I gifted this very set to my girlfriend who welcomed her third son a little over two months ago. I threw in some extra goodies because like I said, I can't ever pass up an opportunity to spoil a good friend and her newest blessing. 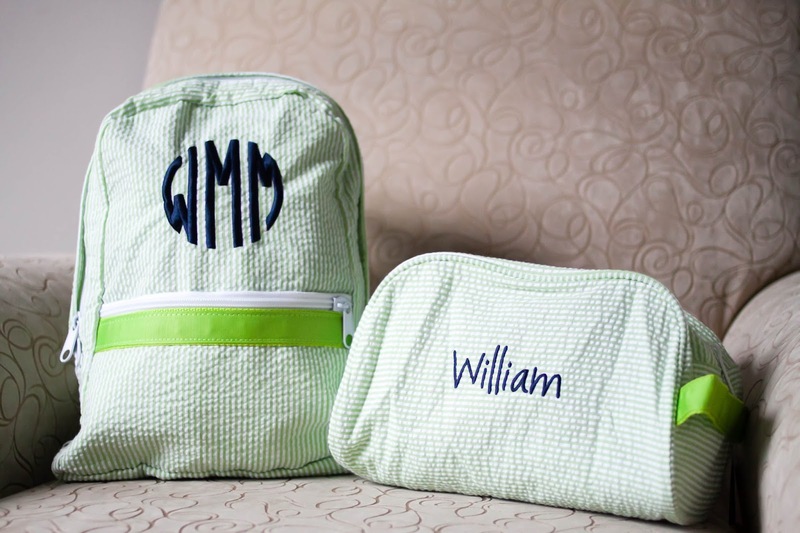 Mark my word, if it's her third or fourth child, I can almost guarantee the baby won't have nearly as much monogrammed cuteness as their predecessors and while I love a good monogram, by the time my third son was born, he had approximately one-tenth the amount of monogrammed goodies that my oldest son had. Thankfully I wised up an chose to name our third with the same initials as his oldest brother so that they share a monogram and I can finally reuse some of my favorite pieces. 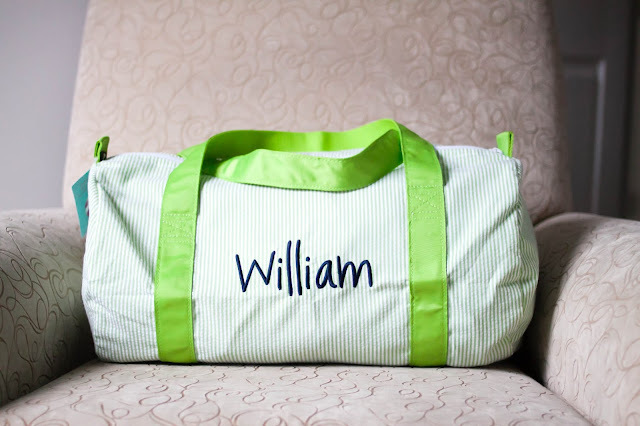 Similarly, my third child is the only one without monogrammed luggage. In fact, when we travel, his clothes get packed in the most manly Vera Bradley soft duffel I own which, as I'm sure you can guess, isn't very manly at all making this just one more reason why I love this tote set from Peekawhoo so much! 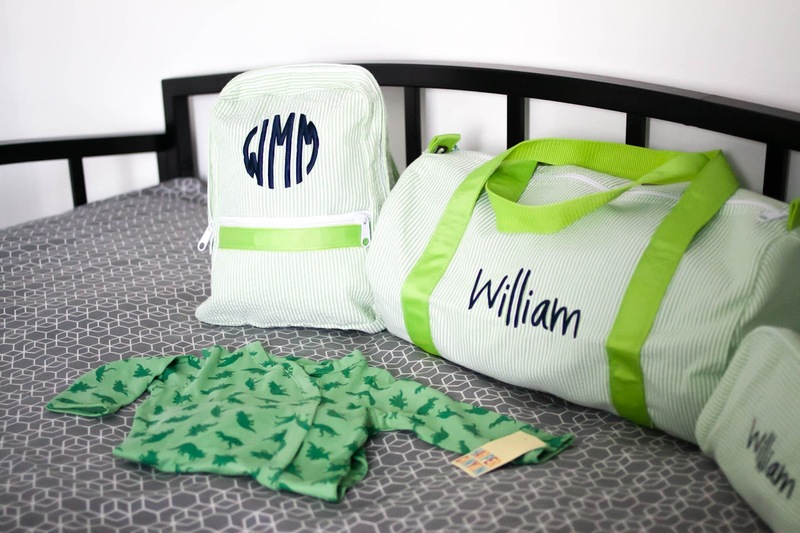 With a duffel, backpack and dopp kit included, baby will be set to travel for at least the next 4 years and until he's ready to pack up all of his treasures into the the bags himself, in the meantime, mom can certainly use them in her diaper bag and on the go. The dopp kit is an excellent small tote with a waterproof liner that can be used to transport liquids, snacks or even as a wet bag. I currently use ours as a small emergency kit that includes children's medicine, a first aid kit, nail clippers and other various odds and ends for use in a bind. 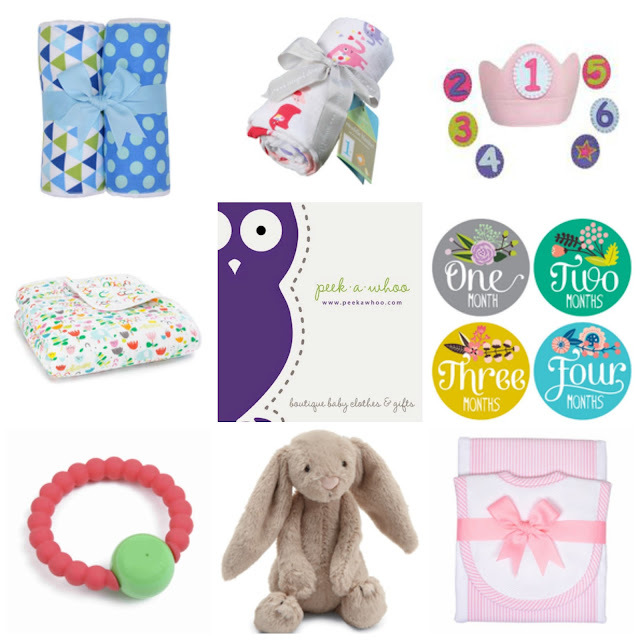 For years Peekawhoo has been my go-to destination for all things gift-y. The love and thought that goes into the creation and packaging of their personalized clothing and accessories is evident as soon as the items arrive on your doorstep. Peekawhoo carries well-known and well-loved brands such as aden & anais, Zutano, 3 Marthas and Angel Dear, making any gift you choose, one of utmost quality. Shop Peekawhoo with code "3ISACHARM" for 15% off all gift packages. You can view all of Peekawhoo's gift sets here. Be sure to come back here and let me know what you chose!